Try our Euro coins exchange service today! Cash 4 Coins are the leading Euro coins exchange brand in the UK. We will change your Euro coins into sterling, so why not send us your foreign coinage today? We offer a fast service and can change any currency you have regardless of where it comes from. What could that extra money do for you? The chances are that your foreign Euro coins are just sitting in a drawer or a jar right now collecting dust. Why not send them to Cash 4 Coins instead and we will exchange them for you. Many of us have left over currency from holidays and business trips abroad and for many these Euro coins and notes sit in a change jar or junk drawer gathering dust. Up until now you cannot change Euro coins back into £GBP as it’s not economical for UK banks to handle the currency. However here at Cash 4 Coins we offer a fast, easy and simple Euro coins exchange service whereby you can change your unwanted foreign Euro coins into cash! As you’ll probably know there are lots of different Euro coins, from the lowly 1 cent to the 2 Euro coin – you can find out more about the different coins and some coin history and facts here. Our service is fast, simple and secure and we’ll even collect your currency for FREE over certain weights – see our page ‘How to send us coins‘ for full details. We are trusted by charities, individuals and companies alike – check out some of the comments we receive from customers. If you’re looking to raise funds for charity or maybe your local club or school then why not get together with friends or work colleagues and collect Euro coins that can be converted back into Sterling with our Euro coins exchange service. Simply send us your currency and we’ll then sort and count it and provide an offer to buy the currency from you – if you’re happy with this then we’ll then pay you directly into your nominated bank account. In the event that you don’t accept our offer we’ll send your currency back to you at our expense… so you have nothing to lose! 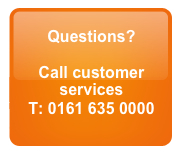 If you’d like any help or information on exchanging euro coins then please don’t hesitate to contact us. Whether you are a charity looking to make a little more money to buy equipment, days out and other essentials or you have just been on a foreign holiday and want to exchange your surplus cash, we can help you with our Euro coins exchange service. It really couldn’t be easier to exchange your Euro coins and we work out much more economical than your local bank. That means you get fast service and more money in your pocket to spend on life’s little luxuries. Don’t let that money gather dust when we can turn it into cold hard cash that you can spend in the UK. Use our Euro coins exchange now and make your money work for you.